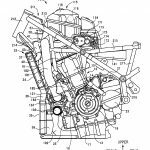 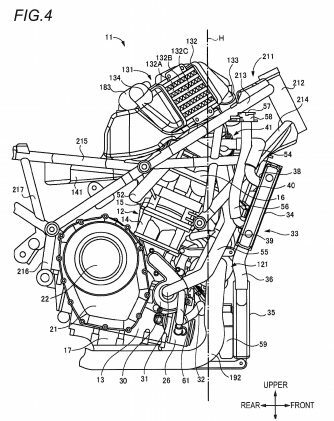 Suzuki has filed 13 separate patents with the U.S. Patent and Trademark Office related to a motorcycle with a turbocharged engine. 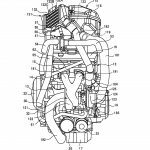 The patent illustrations show a parallel-Twin engine resembling the XE7 turbocharged engine Suzuki presented at the 2015 Tokyo Motor Show. 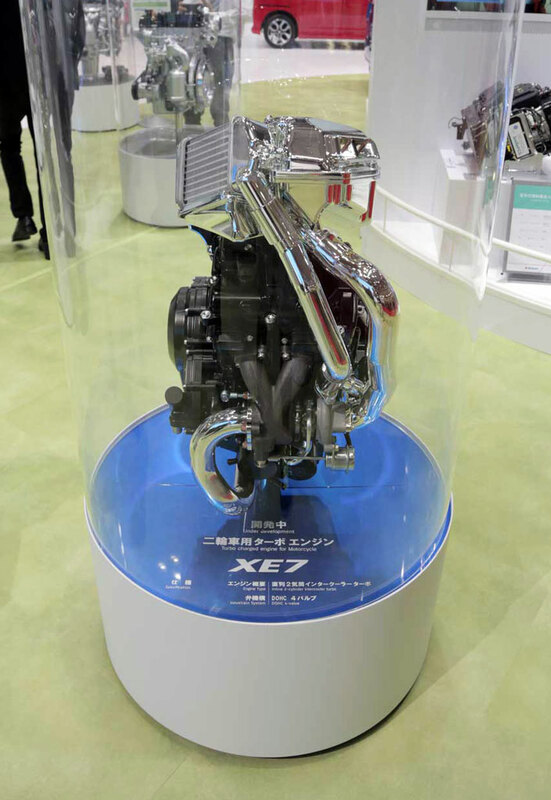 The illustration above shows the engine in a motorcycle that closely resembles the Suzuki Recursion, a turbocharged concept shown at the 2013 Tokyo Motor Show. 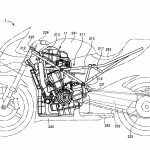 Though only a faint outline, the motorcycle has a similar fairing and the same trellis license plate holder behind the rear wheel. 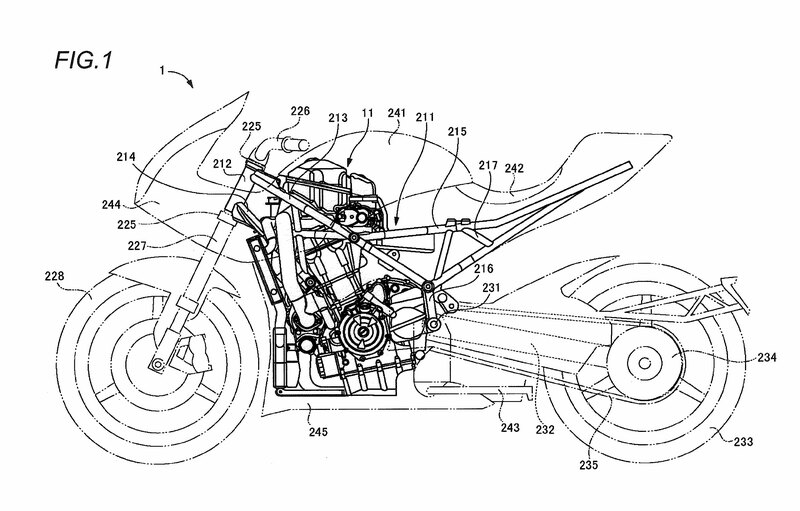 One big difference is the trellis frame and subframe shown in the patent instead of the Recursion’s twin-spar frame. 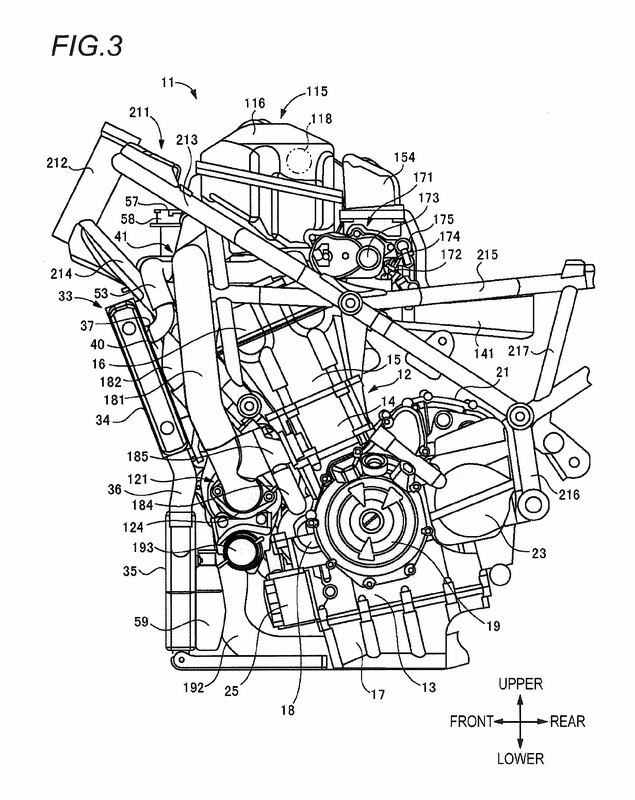 Figure 2 shows the engine in the frame with two radiators. 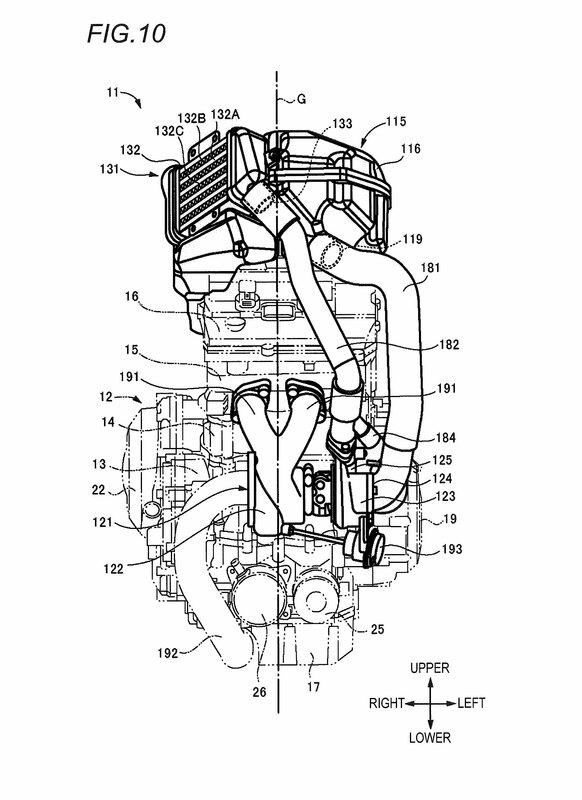 Figure 6 shows the engine, with Figure 10 highlighting the components of the forced induction system. 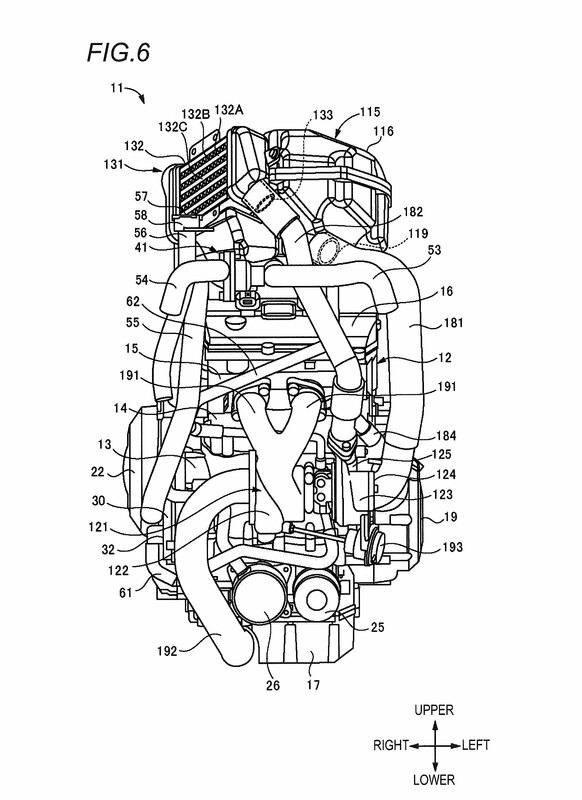 The turbocharger (121) is located just below where the header pipes join. The airbox (115) and intercooler (131) form a single unit located above the cylinder heads. 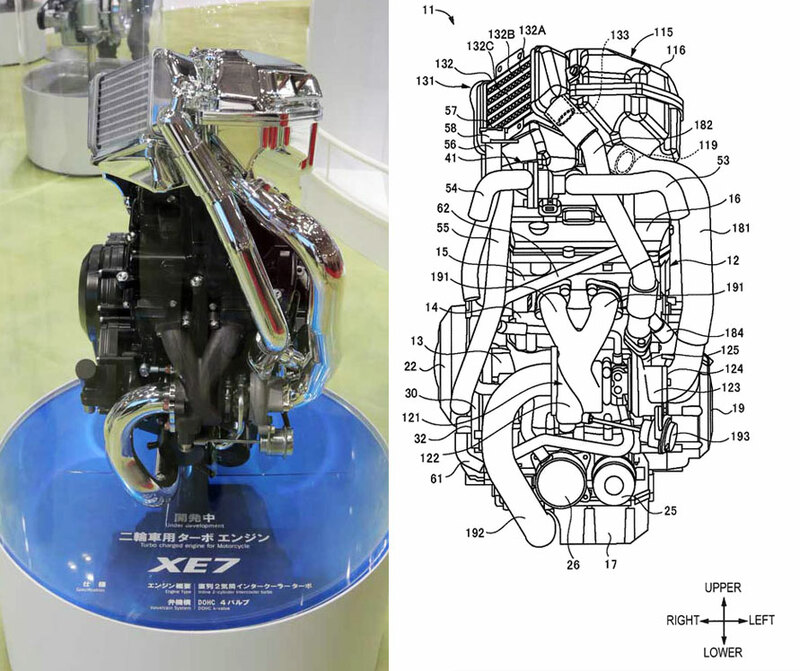 The engine shown in the patents looks very similar to the XE7 engine shown at the 2015 Tokyo Motor Show. 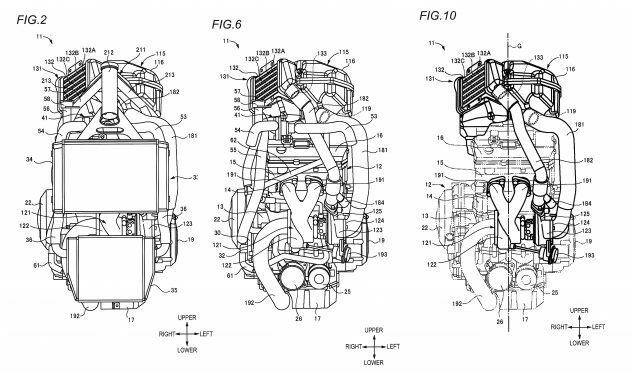 The engine still looks to be a mid-size parallel-Twin. Stacked transmission shafts make for a very short powerplant, and this enables what appears to be a very long swingarm, which would reduce the tendency to wheelie. 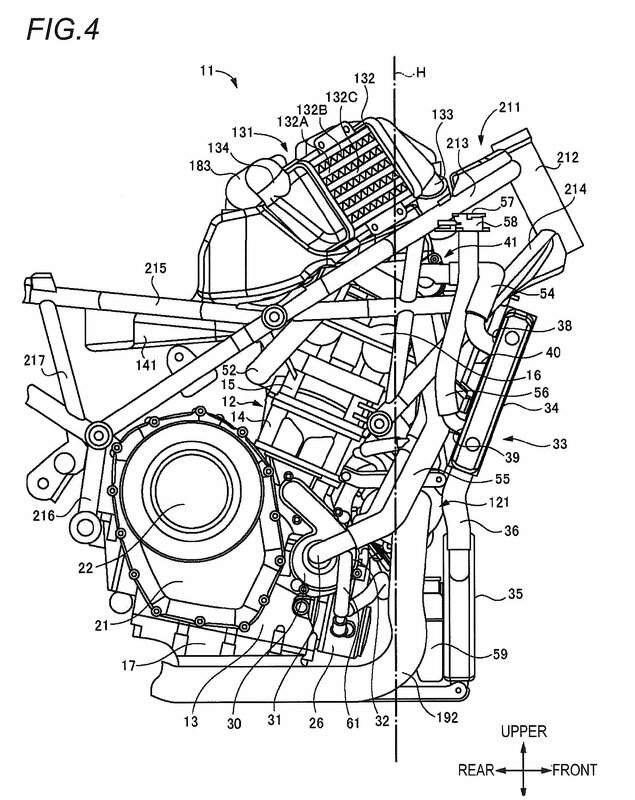 A few of the patents describe the engine’s lubrication system, the placement of balancer shafts in front of and below the crankshaft, the twin radiator set-up, and a way to make sure cooling water is supplied to the turbocharger when the motorcycle is parked and leaned over on its sidestand. 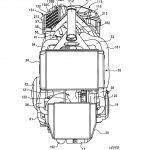 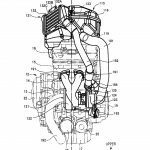 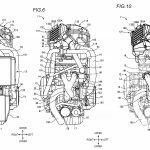 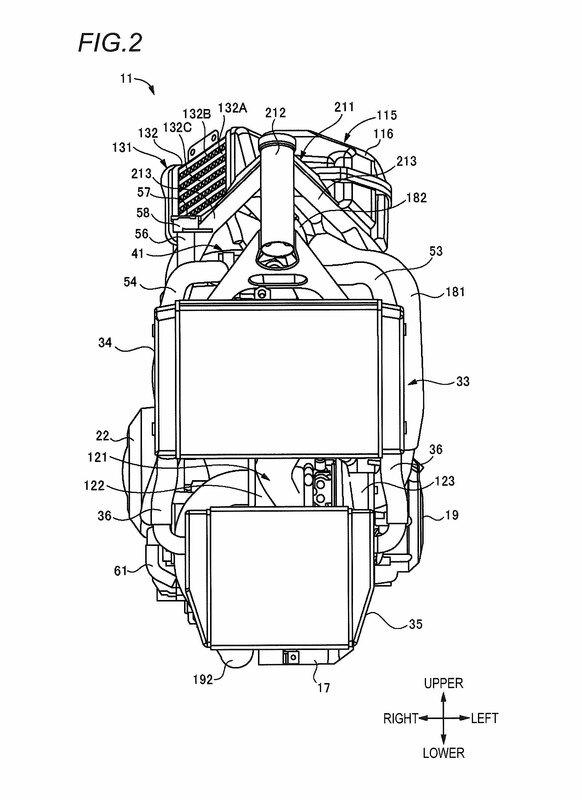 We know that Suzuki has been working on turbocharger technology for a few years now, and these new patents show signs of progress. 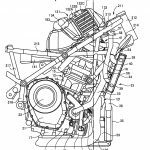 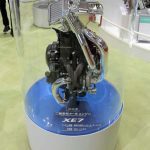 We’ve previously published Suzuki patents related to the Recursion but these 13 new patents show significant differences including the use of the XE7 engine. 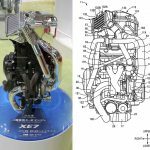 The Recursion was said to use a 588cc engine and the XE7 looked to be close to that displacement, as does the powerplant in the patents. 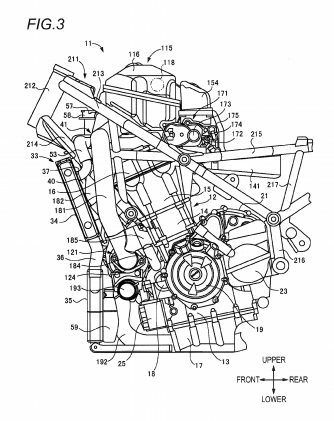 The detail involved in illustrating the engine and the frame indicate they will be close to the finished product, while the less distinct Recursion-shaped outline may be just a temporary placeholder before the design is finalized. 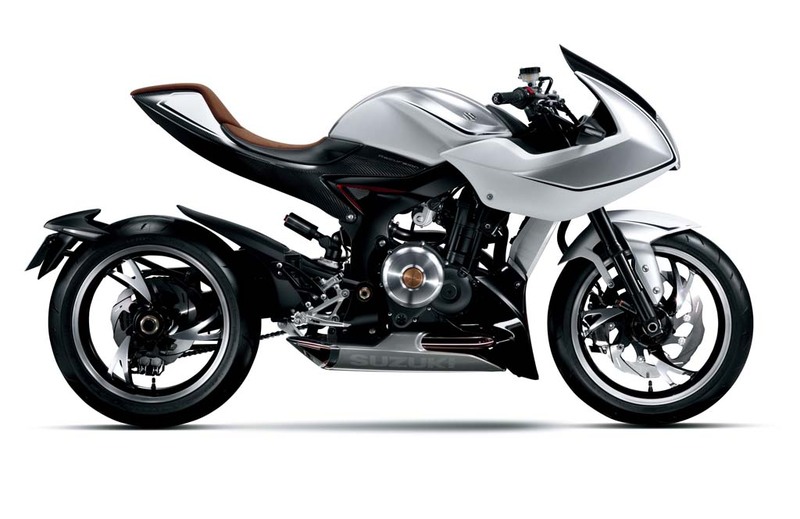 If (when?) 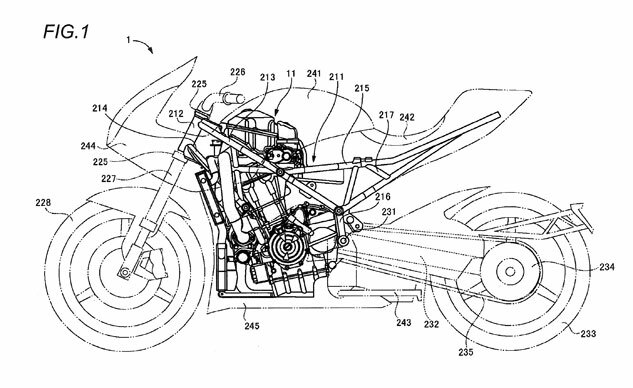 Suzuki’s turbocharged motorcycle goes into production, it may not bear the Recursion name. 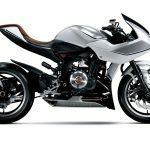 Though Suzuki has registered trademarks for “Recursion,” the company has also registered for trademarks for “Katana” and the symbol for “Gamma,” two classic Suzuki names that would be intriguing fits for a new turbocharged model.